Would you like to increase your confidence, particularly when you’re speaking to a group of people in person or on video? In this article I share 3 specific things you can do to move from FEAR to CONFIDENCE. 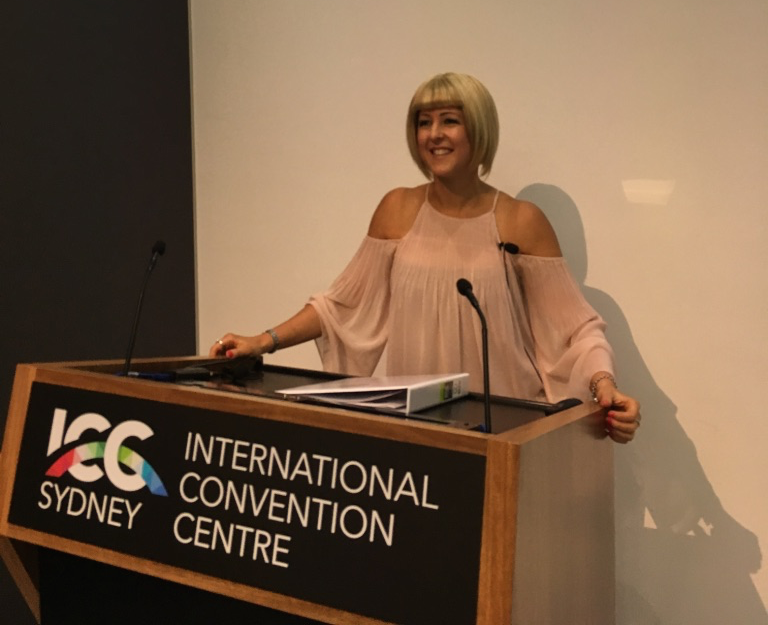 These are 3 light bulb moments that I had that helped me to overcome my fear of public speaking, become more confident and get my thoughts and ideas out to the world in a bigger way. When you’re not confident, a lot of the time people don’t trust you, believe in you or want to follow you. Being confident is a hugely powerful asset to have in your life and it affects every area of your life - your relationship with yourself and others, your work, health, social life, mindset, spirituality and emotions. About 18 years ago, I gave my first talk at an Insurance company that I worked for in NZ. I remember that I was wearing a navy suit and heels and on the outside, I looked professional, but inside I was an absolute wreck. My Manager asked me to present at a boardroom meeting. My palms were sweaty, my whole body was shaking, I was bright red and I couldn’t even look people in the eye at ALL. It was NOT a fun experience! 14 years ago, I started my own business as a personal trainer and worked at a gym called Les Mills in Auckland. I did my first talk there in an aerobics studio and there were 4 people there. Again, I was nervous, sweaty and shaky, but it was easier. About 7 years ago, I was working in London and I attended a really big convention in Birmingham with a friend and I had one of those lightbulb moments when I was listening to the speakers. I realised that if I wanted to reach more people, I had to get over my fear of speaking to groups and learn the skills of presenting in public properly. I remember afterward sitting in a hotel lobby drinking wine by a fireplace with my friend and talking about the speakers and I said him – I'm sick of just working with people one-on-one. I want to do what the speakers are doing! It was a turning point where dream and reality collided. It was such a magical feeling of passion and excitement and massive energy! It was so weird, because if you were with me as a child, you would have known a girl who HATED people looking at her. I was so introverted and melancholy as a child. Since that time, I’ve been totally committed to learning and I’ve invested thousands of hours and dollars into educating mysel on professional presentation skills, coaching and NLP - so I could understand human behaviour, mindset and how to reach and influence more people. The people that I’ve learned off are highly successful business owners who have built 7 figure businesses by getting their message out into the world. Now one of the things that I'm MOST passionate about, is getting up in front of a group of people and sharing tools and strategies that can help them. I’ve completely overcome my fear and although I still get nervous, it now longer stops me from stepping up. My mission when it comes to working with people is to help them get clarity and confidence to go out there and make a difference, grow their business and help more people. What built my confidence was running at my fear. The first important thing to know is that fear is completely natural and normal. Many people fear speaking to a group because at a primal level, we want to be part of a tribe to keep us safe. If we go right back to our ancestors, one of the things we fear is sitting around a campfire and people looking at us. Because if everyone looks at us, they may see something in us that causes us to be exposed and expelled from the tribe. In our 'hind' brain or reptilian brain, we feel at an unconscious level that if we speak up - we could die! But I believe that this fear is one reason public speaking is so powerful. It's scarce to find people who are actually good at it. And I think that the reason not many people are good at it is - is because we are wired to be afraid of it. It's not until we override that fear with our big WHY that we can move through the fear to get our message out. It helps us grow and step up. For me, I was working one-on-one and I realised that if I wanted to fulfill my vision of making a big difference and growing a big business that I HAD to change. I HAD to overcome the fear that was holding me back or I would miss out on countless opportunities in life and spend my life playing small. I had to stop calling myself an introvert, or someone who couldn't step up and speak in front of people. If we can get out and influence more people and help people by speaking one to many rather than just one person at a time, that saves a LOT of time. That was a big motivational driver for me. What would be your reason for taking your message out there in a bigger way? Maybe for you, it's about promoting yourself more at work, or being brave enough to give a speech at a wedding, or attract new clients and grow your business. We all have different motivational drivers and if we want to be better at influencing, we need to know what switches us on and lights us up to take action despite the fear. What drives you? Is it significance? Speaking up against injustice?Show-casing what you offer? Do you want to feel more heard and acknowledged? Do you want more respect, love or power? Make your reason for helping people bigger than your fear. A lot people have fear come up because they haven't prepared properly. Now, some people might say that they just want to be authentic and be themselves on stage. Authenticity is a very popular idea and a lot of people are talking about it. Authenticity is very important, however, I do think it's misunderstood. So, if authenticity is being yourself - let’s take this concept of self. What is being yourself? Your self is not a set idea. Your idea of self can change any time – you can surprise yourself! So if we take this idea of self is a work in progress – why can’t I try out different aspects of myself? Why can’t I have a go at being the performance of a great speaker and do some of the things that great speakers do? We can all try it, we’re all capable of it. So if we've decided that maybe we CAN be the type of person who steps up and speaks to a group, NOW - preparation is key. Take the time to practice, put together a structure of what you want to say so that you're not wasting your own time and the time of other people. Bringing forth your best work does take work and time. Some of the greatest Tedtalk speakers rehearse for 3 months for their 20-minute talk. Being prepared means your audience will get more out of it. The higher the stakes, the more time you want to put in. If you don’t have those 3 things – You’re probably going to feel more fear! The final light bulb moment I had was that it wasn't about me. I had to get over myself! It sounds really obvious, but it's not always obvious that we're doing it! It's not about you - it's about your message. When you're speaking to people, the more you think about yourself, the more you'll feel fear because you're thinking about looking good and avoiding looking bad. If you're speaking and you're constantly thinking about how you're looking, how you're sounding, what people are thinking, wondering if people are judging you etc. - you're going to increase your fear. When you focus on the audience and your message, you get downloads come to you and new insights come out of you because you're PRESENT. It's about your message coming through you. THAT can reduce the fear. I believe we all have a message to bring forth and a mission to fulfill on this planet to fulfill. If you don't do it, no one else is going to do it. So focus on the change you can help someone make in their life. One thing that really helped me, was when someone said to me - every day that you are focusing on yourself, someone is suffering. Someone is actually struggling right now because they have a problem that you can help them solve. That's not to add any pressure or guilt, but that was what helped me overcome fear and get out there in the world. You know enough to help someone solve a problem and if you have a smartphone, you can get on there in an instant and help provide solutions for people. Forget the judgment. It's ok if not everyone resonates with what you say. It doesn't matter - it's about the people that can be helped. Would you like to improve your confidence?